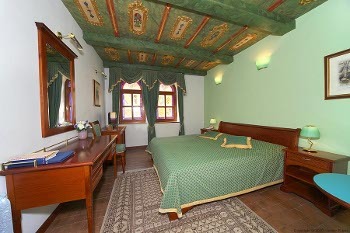 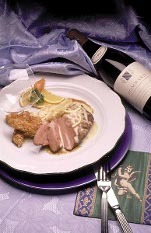 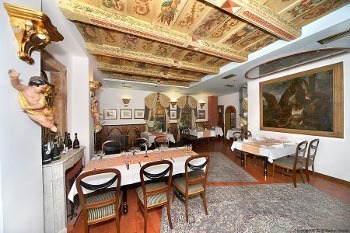 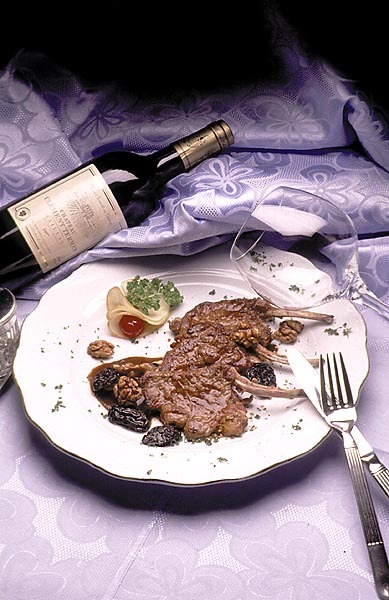 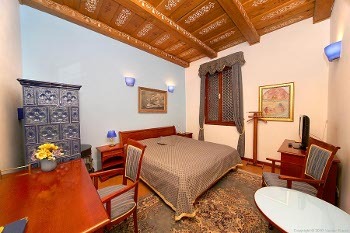 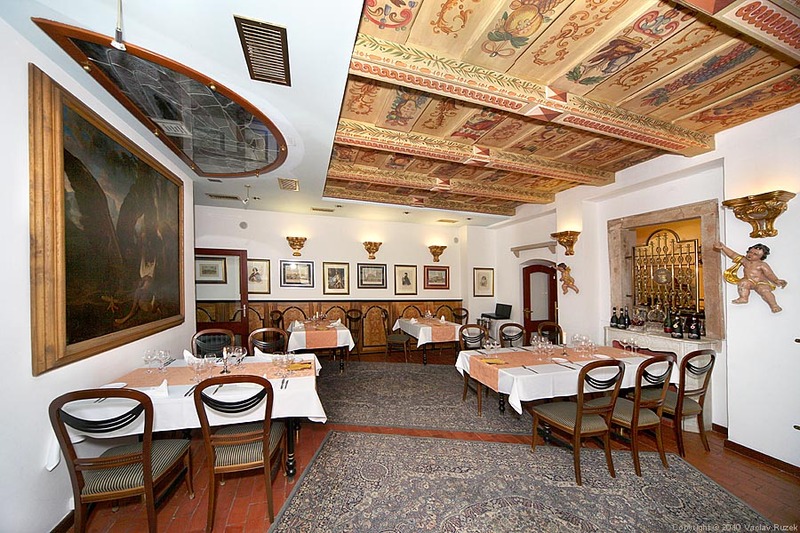 Romantic hotel in the historical part of Brno with excellent cuisine on the basis of Italian and French specialities. The interior decorations are supplemented with antique furniture and a set of paintings of both modern and old artists, including functioning tile stoves and French chapes. 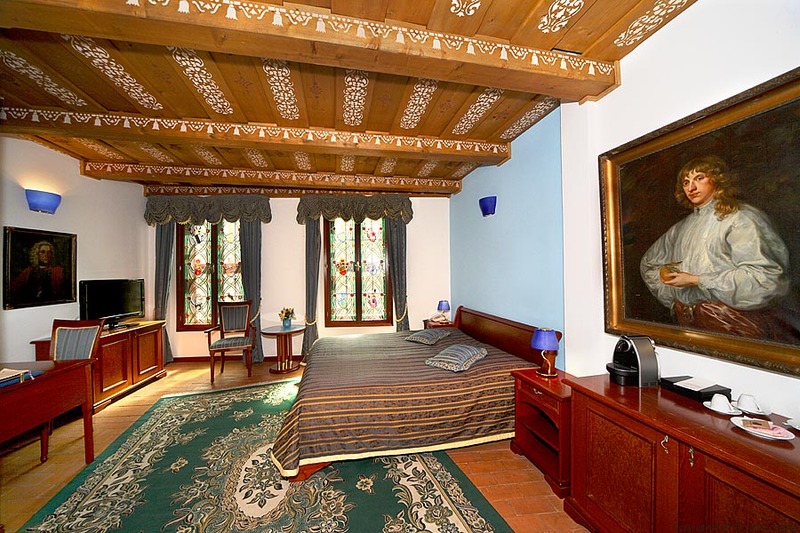 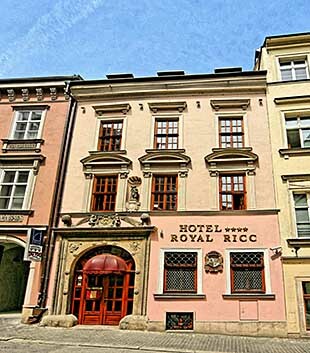 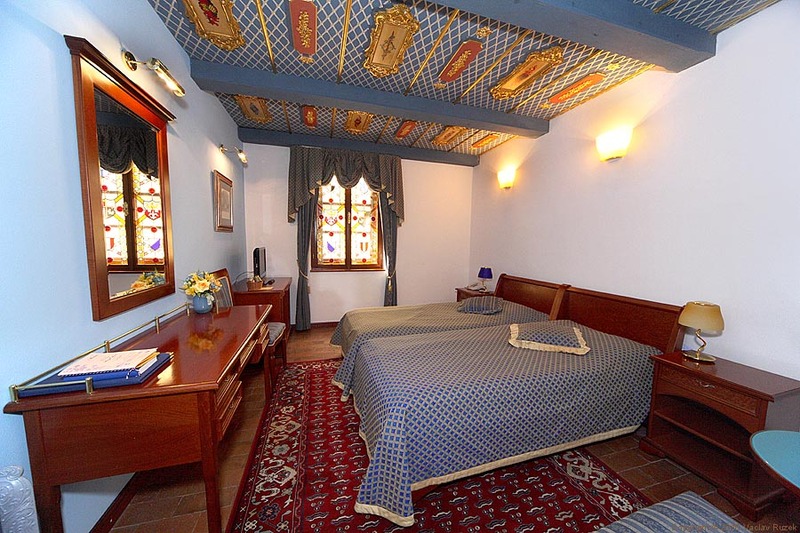 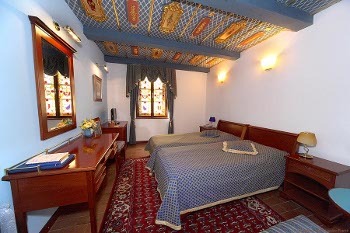 Hotel ROYAL RICC is original baroque house built in 1596 and completely renovated in 1998. 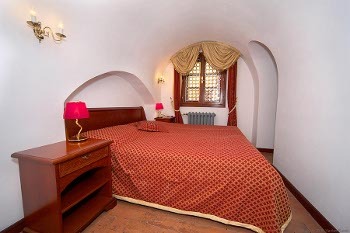 The author of current appearance of the house was Francesco Canevale, a distinguished stone worker who arrived in Brno in the middle of the 1580s. 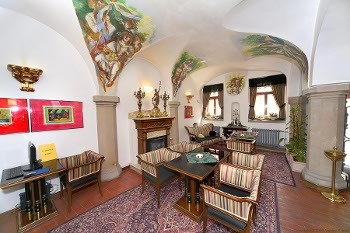 Working jointly with other Italian artists, they rearranged and decorated the New and Old Town Hall, the Barons of Lipa House as seen today and a number of other buildings. 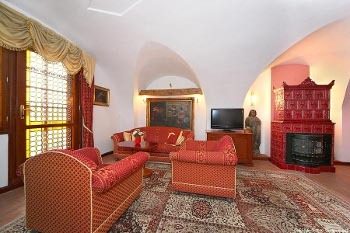 Francesco Canevale obtained the house on 29 April 1589in result of marrying Agnes, a widow of Antonio Silva, also a stone worker. 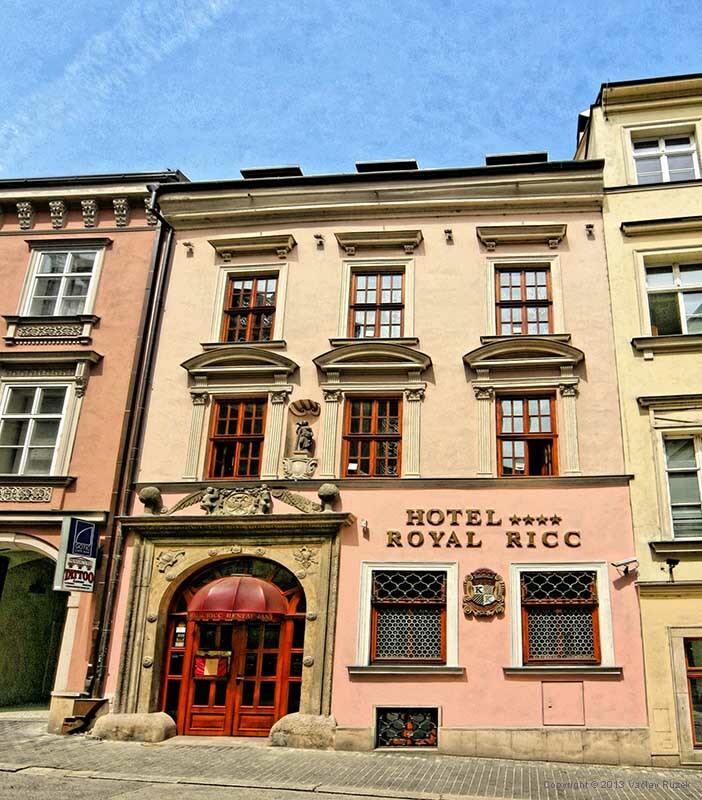 Our Hotel is divided in two parts. In the front one, there are 12 double rooms Deluxe with real working Dutch stove and one suite with two rooms and private terrace. 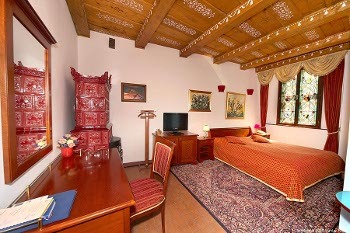 In the back, there are 17 standard double rooms. All the rooms are designed in the same historical style with waffle ceilings and paintings and are equipped with private bathroom, air-condition, TV SAT, minibar, safe box and telephone. 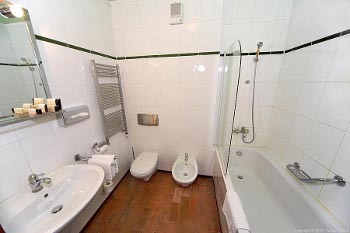 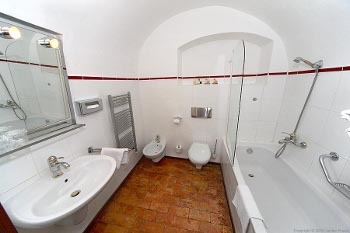 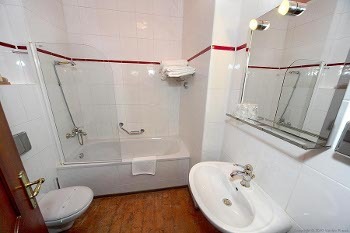 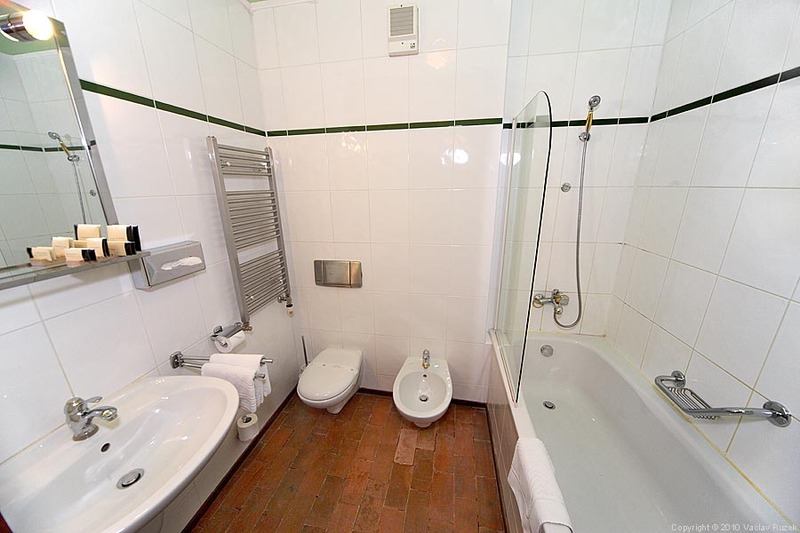 The equipment of bathrooms include a hairdryer and bidet. 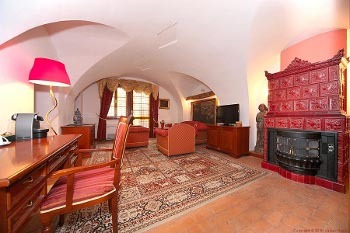 A buffet breakfast is served in a breakfast room and this is also the right place for later drink by the cosy fireplace. 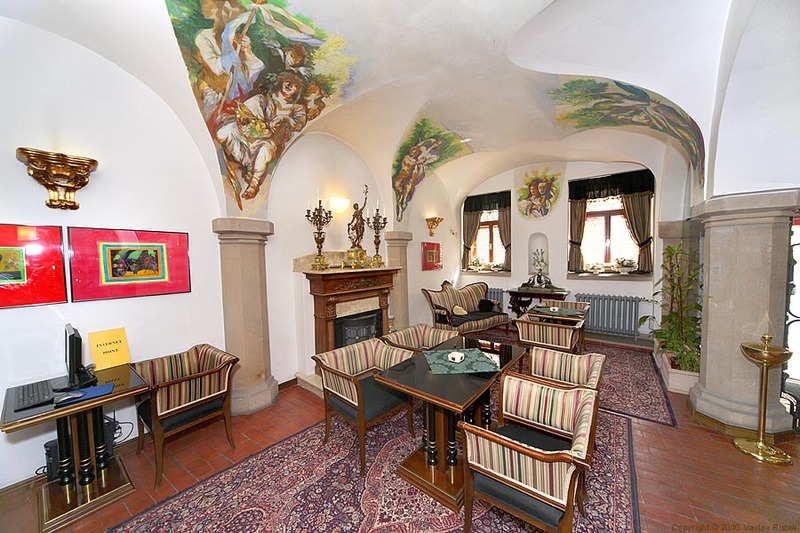 Hotel stylish restaurant has been painted by master R. Riedelbauch and offers Czech and international kitchen and wide sortiment of great Moravian wines. 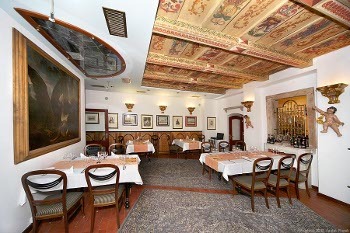 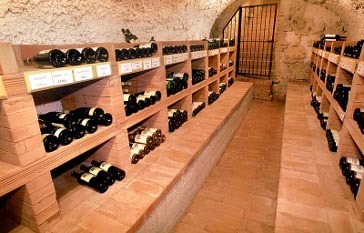 There are 2 restaurants, a summer terrace, Lobby bar and winecellar in the hotel. Hotel parking available in the underground garages for 390 CZK per day. We arrange visits to theatres, cinema and other entertainment events tickets. 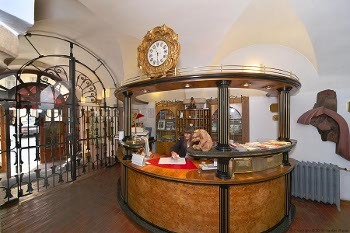 We make provisions for sightseeing around the city and places of interest in close surroundings. 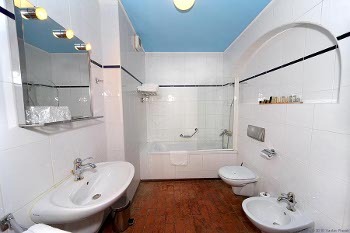 Frühstück, Wi-FI Internet und Mehrwertsteuer sind im Preis einberechnet. 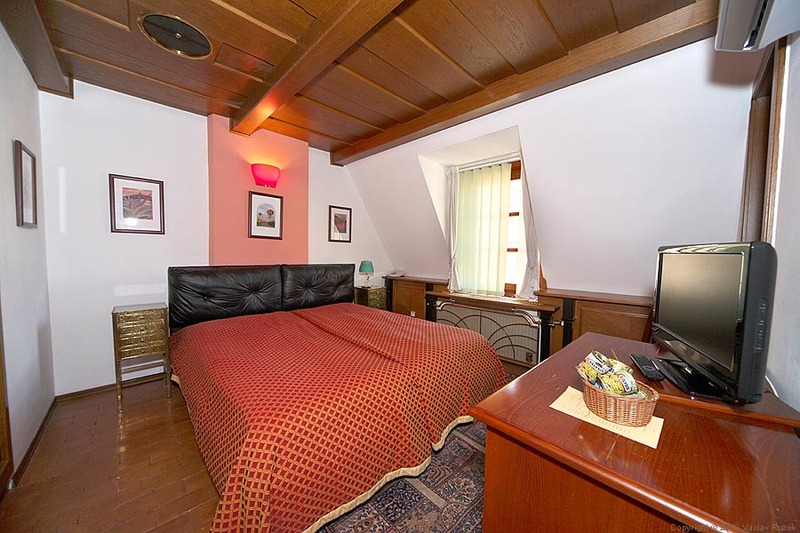 Verfügbarkeit von Zusatzbetten: Double Deluxe 1x Zusatzbett.